These durable folding screens are an economical, effortless way of creating flexible work areas. 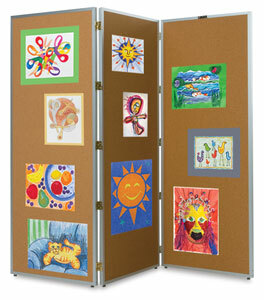 They are constructed with a satin anodized aluminum frame and double-action hinges. A tackable Nucork surface is on both sides of the screen.